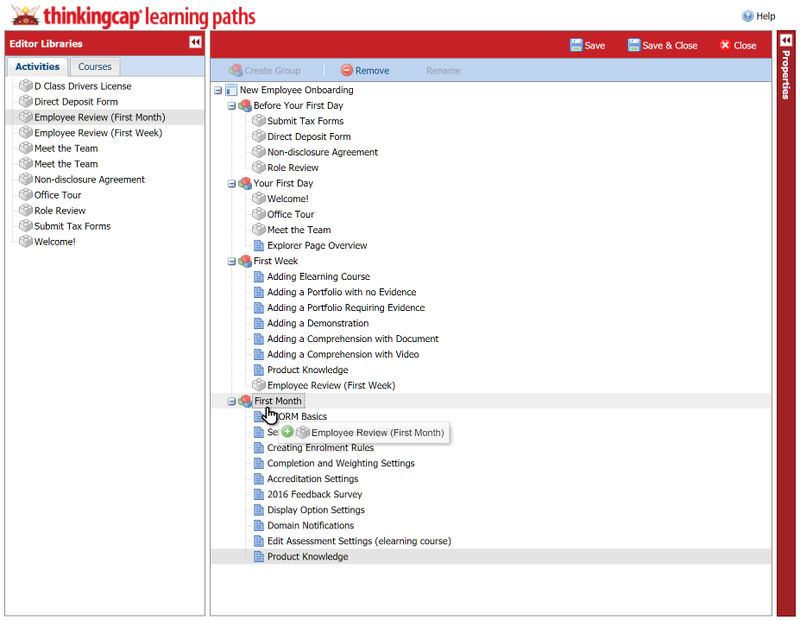 Learning paths organize your different learning activities into a curriculum that supports your larger learning goals. This helps your learners also see a broader context about how time invested in learning benefits them and your organization. Learning paths map the best sequence of learning activities to provide the best learning in the shortest possible time. The best learning paths combine structured learning activities with real work experiences. Thinking Cap even reports on learners who are close to achieving a learning path that they are not enrolled in. This helps you find hidden skills and competencies that can give learners additional learning credits and opportunities for changing or expanding the scope of their role in your organization. Learning paths provide many flexible options to define which learnings are required and which are optional. You can use equivalencies to define multiple learning activities that will fulfill the learning requirements. Our easy-to-use editor lets you draw from your entire library to build paths quickly and with as many layers and options as you want. Once you have your paths, you can use the editor to make any changes just as easily. The Manage feature allows administrators to take a quick and high-level view of the status of an activity or to take a longer and more detailed look.